I hope you enjoy your visit. Bob's Britts is now the home of Champion Bob's Tread Tracker (formerly Tina's Tread Tracker). 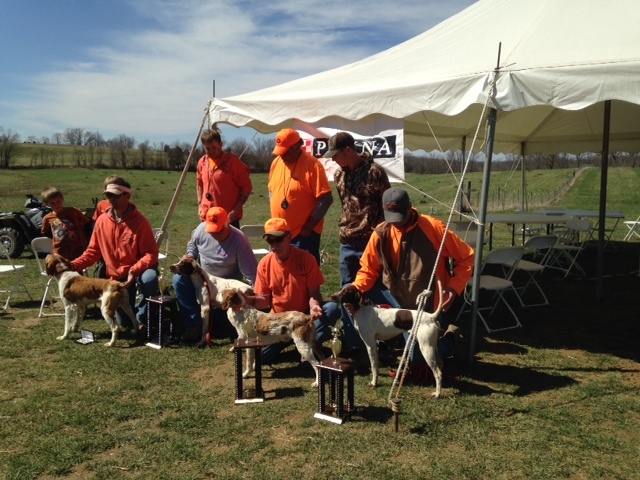 Tread finished as the 3rd Runner-Up in the 2013 Quail Invitational Championship in Lake Wales, Florida. His sire is Nat. Ch. Buddy's Mini Cooper and his dam is Champion Earley's BB. Cooper's sire is Nat. Ch. Nolan's Last Bullet and Earley's BB is a daughter of Nat. Ch. Beeline Wink. 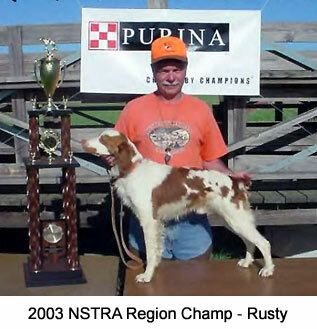 Tread's pedigree is a who's who of NSTRA. However, his personality is one of his biggest assets which is a must to me. Tread is a great addition to Bob's Britts. 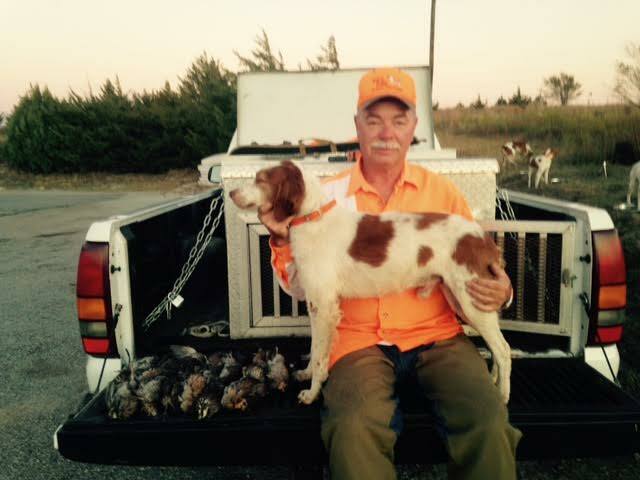 Over the years I have strived to maintain not only a high standard of performance that you should expect from a top gun dog but an even higher standard of personality. 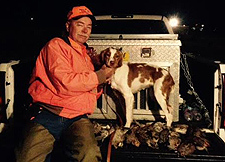 It is to this that I attribute my success of producing quality Brittany pups that turn into gun dogs that you will love and others will admire. 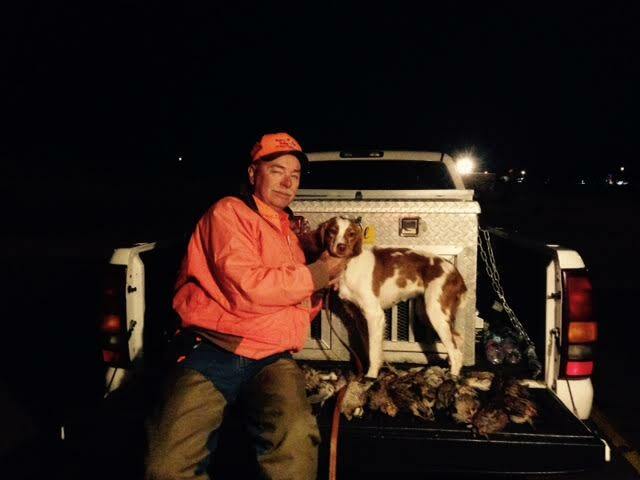 I have been hunting and raising Brittanys since 1976, time sure flies when you're having fun. Having started bird hunting with my dad when I was only four years old, I still remember him carrying me over briar patches and creeks. 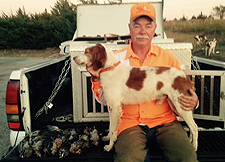 It was him that showed me what to expect from a bird dog and to accept no less. As a way to enjoy my dogs year round I began trialing in the early eighties (1983) with my first Brittany Champion Cribb's Brandy Sniffer "Snoopy". 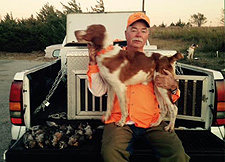 Since that time I have raised, bred, trained, campaigned and hunted dogs in at least a dozen states. 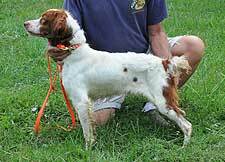 The sire is Bullet's Quail Tracker - Hansel. The dam is Triple S Eva. 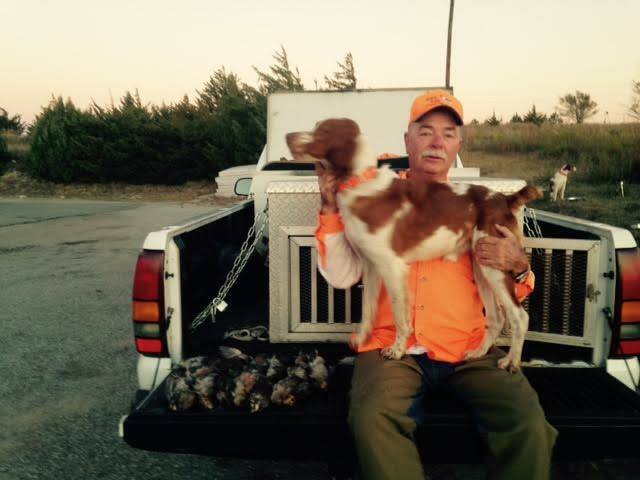 Some photos of the recent trip to hunt wild quail in Oklahoma. Tread came in 3rd at the April 2014 Kentucky Regional Championships. Bob's Britts now has a Google+ and Twitter presence. Please be patient while we get the email connections and posts corrected and updated.